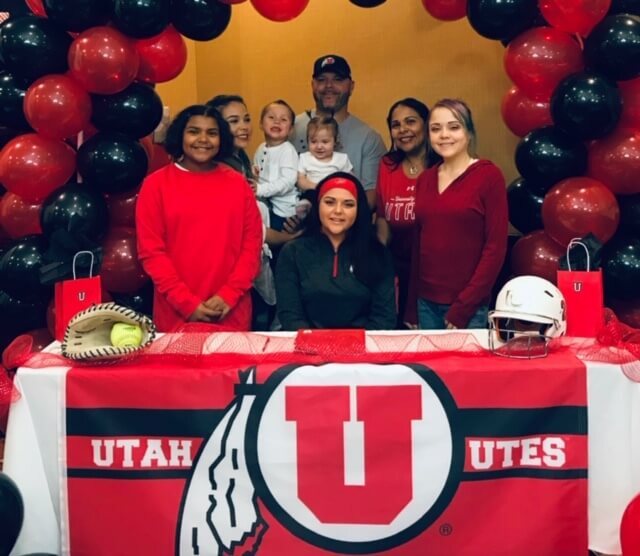 Destiny signed with Utah on November 28, 2018 with her family present, but before that utilized her niece, Ryan Emma (in white directly behind Destiny) to inform everyone where she would sign. 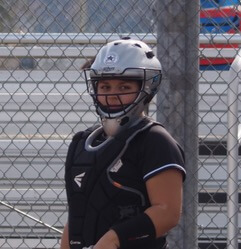 Every athlete’s recruiting journey is different and for Destiny Quiles, a talented senior from Northern California, everything seemed to be going along smoothly until circumstances led to her suddenly not being committed this past summer. Unlike many Class of 2019 signees who put their signature on a Letter of Intent Wednesday, November, 14, 2018, Destiny signed on November 28th after realizing after a fall showcase the right school for her. 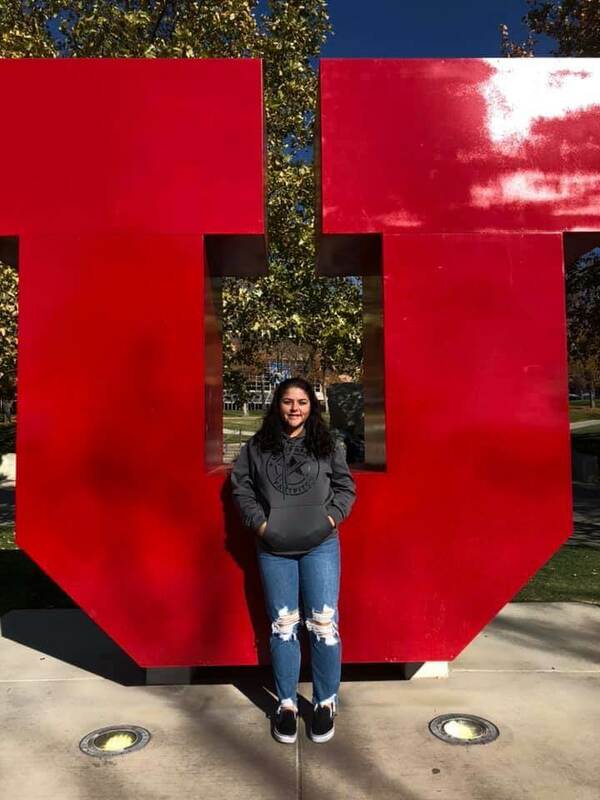 The way she let her family--and future coaching staff--know she’d become a Utah Utah is pretty clever… let’s just say it involved the use of a family member! Tell about the recruiting process… you had committed to St. Mary’s at one time and now have ended up with Utah… was it hard to make the change? Due to a coaching staff change at Saint Mary’s College, my verbal offer was not honored by the new coaching staff. I quickly realized the situation I was in and had to trust the path God was taking me on. Also, I had to trust the recruitment process and get physically and mentally ready to showcase. I always felt I was capable of playing at a higher level but had to learn how to play without the security blanket of being verballed to a college. In the end it was the best for me and I grew mentally stronger from the entire situation. The senior in front of the Utah "Block U." When did you realize that Utah would be where you’d end up and was the right place for you? On my drive home from Los Angeles after the Early Thanksgiving Showcase. It was the end of Fall season and I had offers and interest from several schools. I was so grateful and humbled by all the coaches that had shown interest in me so I started to go over the choices with my dad and Utah was checking off all the boxes for my school choice. Then a phone conversation I had with (Utah) coach Amy Hogue kept replaying in my head; at that point I felt excited and at peace. I knew then I would become a Ute! What were the circumstances that led to you signing on Nov. 28 and how/where did you actually do it? The big reveal to Utah assistant coach Cody Thomson via niece Ryan Emma's onesie! During my official visits I bought my 10-month-old niece, Ryan Emma, a onesie from each school. When my family finished unloading the truck from our So Cal trip I revealed to them my choice by dressing my niece in the onesie and asking them to check on her. It was a fun way to let my family know. 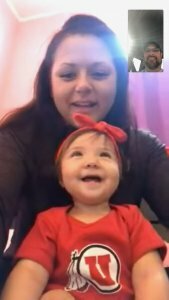 The following morning, I dressed my niece back in the onesie and Facetimed Coach Amy, Coach T (Cody Thomson), and Coach (Hannah) Flippen. They all thought she was so cute and were extremely happy that I chose to become a Ute.